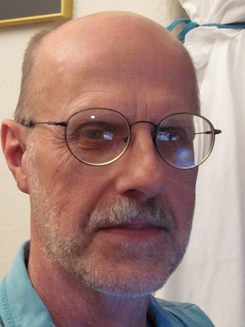 After earning Journalism and Creative Writing degrees from San Francisco State University I worked construction and only returned to writing in retirement. It seemed a sensible life plan, to use the body while young and the mind when older. In August 2017 my one-page story, “Cats With Benefits,” arrived in bookstores nationwide in an anthology called The Cat Really Did That? The publisher is Chicken Soup for the Soul, a company that encourages pet adoptions and markets a line of pet foods. I was pleased to learn it donates a portion of book profits to American-Humane. Rumi advised, “Start a huge, foolish project, like Noah; it makes absolutely no difference what people think of you.” So for two years I sent two things a month to major, national magazines. It was time now in retirement to see if various jottings I had done all my life were indeed publishable. This meant polishing rough drafts and learning what type of story different magazines wanted. Each month I got back little notes called rejection slips that basically said, “Not quite what we want.” These rejection slips stung of course, but I kept rewriting and submitting twice a month per my schedule. What joy, then, when one little story was finally accepted, and I was paid two hundred dollars and ten author copies of the book it appeared in. Finally I felt like a real writer and professional author, and tax collectors agree. Title: The Cat Really Did That? Our cats make us smile every day, but some days they really outdo themselves! 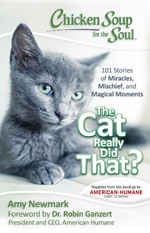 This book is full of those hilarious and heartwarming stories about the many ways our mischievous feline friends surprise us, make us laugh, and touch our hearts.